All scripters face many challenges in writing a screenplay… such as fleshing an idea out into a complete story, then creating fascinating characters that we as writers (and our audience!) will want to spend time with. But every committed screenplay writer with a good idea and a storytelling knack can create a knockout salable script – if they can learn to sidestep these 7 basic scriptwriting mistakes. In The Story Solution: 23 Actions All Great Heroes Must Take, I present to those writing a movie script a completely new approach to building powerful screen stories that will keep producers, agents and audiences glued to their chairs. The book reveal the 23 actions used in every successful movie to create dynamic, three dimensional heroes while linking together all parts of a captivating screenplay. Passive Hero or Heroine: A passive hero doesn’t engage the audience. Sometimes we feel so powerless in life that we want heroes who can recognize a wrong and take remedial action. This need makes characters like the heroes of Taken and Mission Impossible astonishingly popular with their fan base, in spite of the number of people they kill in a movie. Movies move, and in all genres, so must the lead characters in them. Unsympathetic Hero or Heroine: We go to movies to feel deeply. An unsympathetic hero doesn’t inspire that depth of emotion. Audiences look for a message, and they want their hero to be the one to convey it. Thelma and Louise were running from the law, but the audience could sympathetically identify with their lives and root for them in spite of their deeds. In order for an audience to identify with main characters, those characters need to have some type of flaw that they struggle to overcome in their onscreen journey. Poor Story Structure: There’s a story-telling sequence progression which needs to be followed in order to take a hero on a logical and emotionally fulfilling journey from ordinary life, through a major challenge, and then on to resolution. Stories that skip around or fail to take one of these steps often end up confusing and disappointing the audience. Weak Adversary: Moviegoers want to see heroes who can overcome big obstacles so they feel like they can face challenges in their own lives, too. If an adversary is weak, it provides no foundation for the hero to grow and develop through rising conflict. A strong adversary can be arm-waving and over-the-top, like Cruella de Vil chasing those lovable Dalmatians, they can be hidden behind a mask of friendship such as adversaries in most detective thrillers, or even unseen when the hero fights a bureaucracy, an evil point of view, or injustice. But to work for audiences – all adversaries must possess some kind of great power over the hero. Sluggish Rising Action: Especially today, with easy entertainment access, audiences can quickly get restless. The plot must move along at a respectable clip, with actions building on each other and rising to a climax so there can be a satisfying resolution. Scripts that just float along like a slice-of-life are hard to get excited about. Telling Instead of Showing: Going to the movies isn’t going to school. Audiences don’t like to be hit over the head with a lesson or moral. Do that, and they are likely to tune out. Show them what the hero does to achieve a goal, step by rising step, and they will become more engaged with a film. Visual storytelling communicates primarily through behavior, not talk. Endless Scenes: A successful movie needs to flow smoothly from one scene to the next in a progressively rising action-line. Too many long, talky scenes get in the way of character development, and can make any story feel flat or slow. A screenwriter should avoid filling scripts with too many dialogue tsunamis. Leave those to stage plays. 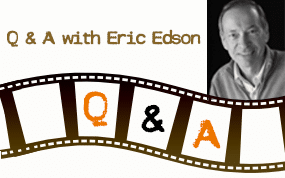 Eric Edson will be speaking at the upcoming STORY EXPO 2015 on Sept. 11, 12, 13th. Edson is one of over 100 world-renowned speakers who will discuss all aspects of storytelling. His first seminar on Friday, September 11, from 3:45 to 5:15 p.m., covers “How to Build Plots Like an A-list Screenwriter” Mastering screen story structure is both a challenge and an essential skill for screenplay writers. Eric’s new tool of HERO GOAL SEQUENCES changes the playing field and improves the chances for all new screenwriters. His second seminar, on Saturday, September 12, from 3:45 to 5:15 p.m., covers “Creating Great Characters for Great Stories.” Character function in plot creation is often misunderstood. Eric demonstrates how mastering Character Categories creates memorable screenplays that sell. Edson’s final seminar, on Sunday, September 13, from 9:45 am – 11:15 am, covers “WritingCharacter Growth.” Learn how strong character growth attracts movies stars to your screenplay. Many writers fear tackling character growth, but once understood, creating it isn’t that hard. About The Story Solution: Eric Edson’s The Story Solution provides screenwriting tips for those interested in writing screenplays. Acclaimed by many as one of the best screenwriting books, Edson outlines 23 actions used in screenplay writing to create three dimensional heroes. Visit the website at https://www.thestorysolution.com/ to listen to audio clips about creating characters. “Like” the Facebook page to receive tips on scriptwriting. Call 818- 677-3192 for more information about writing a movie script. I thought that I am the only one who doesn’t like too much scenes. Thanks to this article, it turns out that it really should not be done in movies. I agree that it makes the story feel flat or slow. Thanks for the tips Mr. Eric Edson. Learning about the scriptwriting mistakes mentioned above gives additional tips for aspiring scriptwriters. Being able to understand where everything went wrong provides huge help so that these mistakes will be avoided in the future. Great story telling in movies is reflected through audiences having their full attention from beginning to end. Scriptwriting can make or break a movie. Time and again, there are movies that showcase scriptwriting mistakes that greatly affect the overall outcome. Among all of the mistakes mentioned above, I usually encounter movies having poor story structure. The story-telling progression has to be taken into high consideration because it’s like you’re taking an audience to a journey with an eventful ending. It’s great to know that this post mentioned all of these mistakes. Aspiring screenplay writers should take note of all of this! 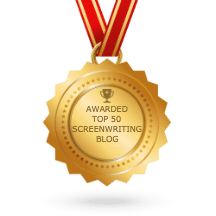 Being able to take into consideration which scriptwriting mistakes must be prevented is a big step towards improved screenplay writing output. One of the mistakes that usually catches my attention is the seventh item on this list – Endless Scenes. A great script must have a smooth flow, however, some movies get way too dragged with so many talking scenes. For me, that kind of mistake has a very critical effect. Achieving a perfect script might be next to impossible but avoiding the most common mistakes in scriptwriting is very probable. The seven mistakes mentioned above can be clearly seen in movies that tanked in the box office. Preventing these mistakes can help you excel better in the field of screenplay writing.